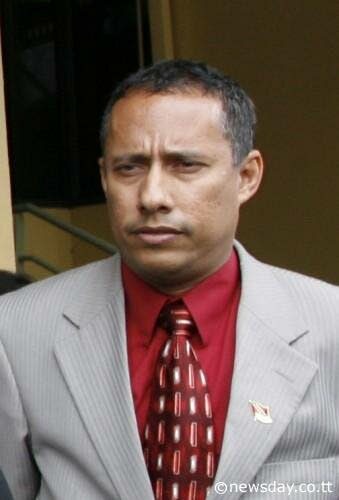 Former National Security Minister Gary Griffith. Former National Security Minister Captain Gary Griffith says he is optimistic he would be able to produce long-lasting results if appointed Police Commissioner, given his extensive military career and experience in coordinating law enforcement agencies through various anti-crime initiatives. Griffith issued a release yesterday in which he outlined his objectives, if appointed to the post and expressed his intention to reform the police service from a ‘bottom-up’ approach of leadership through example, citing his role in revitalising the Rapid Response Unit and other divisions of the TTPS, during his tenure as National Security Minister. “I have a hands on knowledge of the Service, having worked alongside them for 17 years while in the military and also being a Minister of National Security. A Police Commissioner needs to stop spending so much time in Police Headquarters, wearing khaki uniform and holding a cane as if we are still in the 70s. Instead, he should be on patrols with his troops in tactical gear, showing leadership by example,” Griffith said. “I decided to apply for the post of CoP only after numerous requests by citizens and organisations, asking me to apply. This is arguably the most difficult and thankless post for anyone to hold in this country...there is no pleasure, glory, or personal gain to this in comparison to what would be expected by anyone who holds this post. I am not doing this for me, but to assist my country,” he said. Reply to "Griffith: I’m doing this for the people"